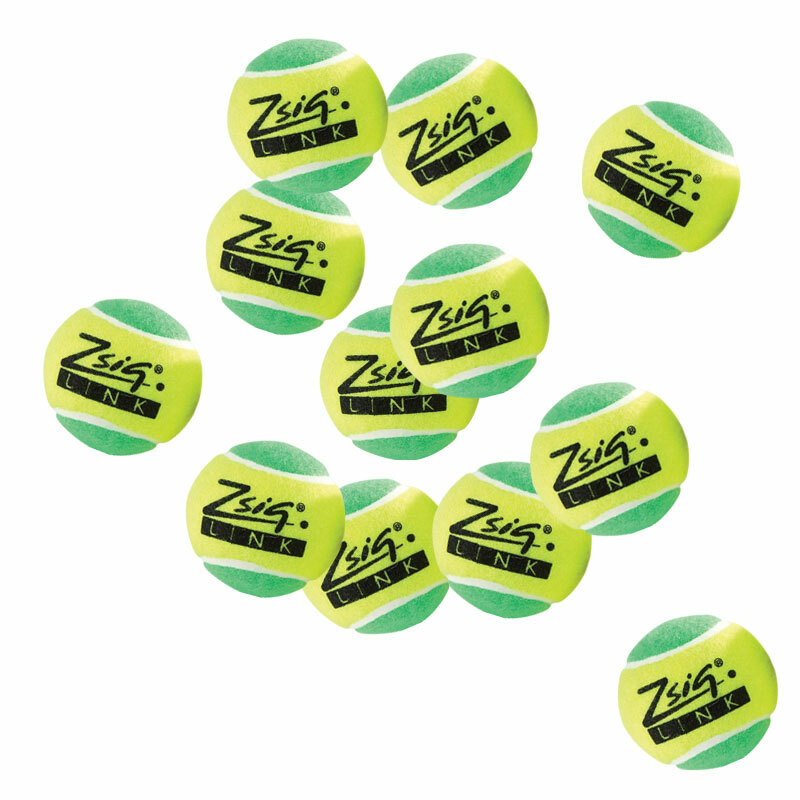 At 25% slower the Zsig ® Link Mini Tennis Ball Green is ideal for an introduction to the full court. Low compression ball for starter players of all ages, used on a full sized court. Recommended racket size: 63-68cm (25-27in). Starter adults and children aged 8-12. Developed to enable transition from the three-quarters size orange court to the full-size tennis court. An excellent teaching tool for all ages, the Link Green provides the link between mini tennis and full court play by covering the full size tennis court while offering controlled pace and easier ball control. It means that if you're teaching a class of school children or adult learners, more time is spent learning and hitting than searching for and picking up randomly flying tennis balls. And it's the next stage for mini tennis learners - on to a full-size tennis court, but with better behaved balls.